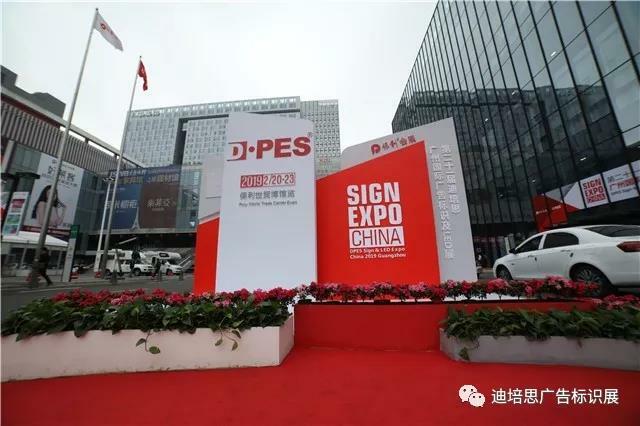 The 21st edition of DPES Sign & LED Expo China was successfully closed at Poly World Trade Center, Guangzhou on February 23, 2019. The show scale has reached a record high. There were totally 80,000 square meters with over 1,000 domestic and foreign exhibitors. The first advertising event in spring China has showed its immense attraction to visitors. The four-day exhibition received over 40,000 professional buyers from home and abroad. There were various and novel exhibits at the show. Seven halls were divided into five exhibition areas. 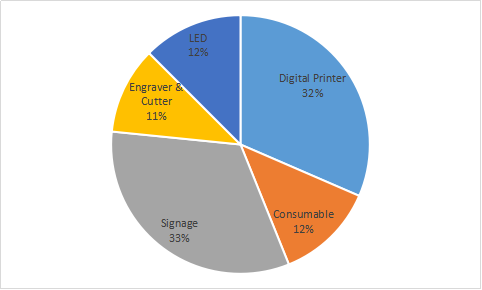 It was a collection of advertising consumables and materials, LED light sources, engraving equipment, printing equipment, signage light box & display equipment and other high-end brand products, covering the entire advertising industry chain. Consumable Area was located on B1. The leading advertising media and material brands gathered in the exhibition area displaying newly developed products and consumables which greatly satisfied the needs of customers. LED source area was located in Hall 1 on the first floor. The well-known brands in the optoelectronic industry gathered here to showcase the design-inspired lighting technology products, which were so colorful and dynamic that pleasantly surprised the visitors. Digital engraver area could be found in Hall 2 on the first floor. Famous engraving manufacturers attracted large number of visitors with their latest engraving and cutting machines. Digital Printer Area can be found in Hall 3, Hall 4 and VIP area on the second floor. There were leading brands from home and abroad displaying various printing machines with high speed and excellent quality. A lot of excited visitors gathered here to negotiate with exhibitors. Digital Signage & Display Area was located in Hall 5 and Hall 6 on the third floor. Visitors came with great interest to check the latest products of signage, light box and display equipment. DPES has become one of the well-known brands in advertising exhibition industry with a 10-year history. It impact was great enough to have attracted professional buyers from over 137 countries and regions. Advertising production companies, manufacturers, agents, and distributors must be fully prepared for the new year's work. Major domestic and foreign companies had seized this opportunity to expand the market and gathered at the first show in the early spring in China. At the event, they displayed latest high-end products, top-notch technology, advanced machinery and equipment, new advertising media and materials. With the concept of dedicated service and the vision of the customer's needs, DPES has been well received by exhibitors. According to on-site survey statistics, 97% of exhibitors were very satisfied with the service provided by the organizer. 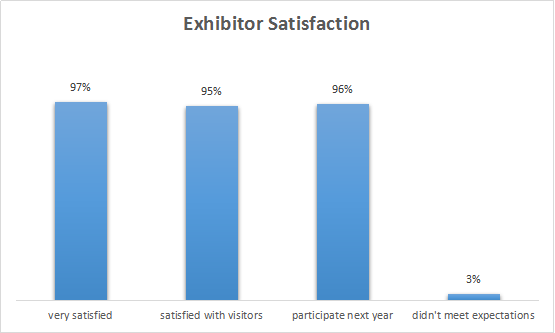 95% of exhibitors were very satisfied with the number and quality of professional visitors to the show. At the end of the show, 96% of exhibitors were interested in participating again. 93%: could achieve the intended purpose. 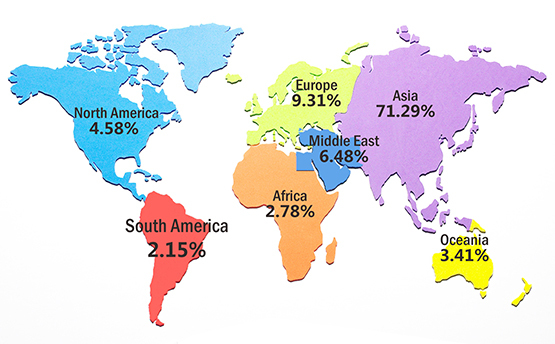 The number of Asian visitors takes up 71.29% of total visitors. Visitors from other areas are showed as follows. In the future, we will adhere to the principal of professionalism and dedication, accumulate industry resources based on regional advantages, and make breakthroughs and continuous innovation. Customer satisfaction is our first priority. We will dedicate ourselves to building an international trade platform with larger scale and higher quality.